Over the past few decades of mass automotive manufacture there have been some real pioneers in automotive design that have truly revolutionised the various fields that come together to create a complete car. On the other hand, however, there have been a number of cars designed and manufactured that have failed to meet even the lowest of standards in vehicle design. These truly are some of the worst cars ever made. 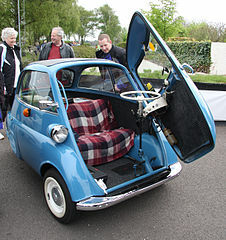 The Bubble Car was designed shortly after the Second World War at a time when the automotive industry was attempting to get back on its feet and resources were rare. 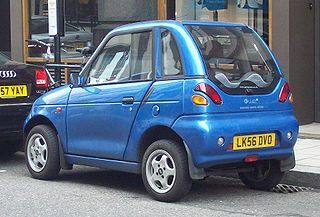 The main flaw of this vehicle was the combination of placing its single door on the front of the car and the absence of a reverse gear. These two features combined to ensure that parking was an utter nightmare for any Bubble Car owner. Moreover, this vehicle was grossly underpowered and lacked even a minimal amount of space for passengers. The build quality of American muscle cars is dubious at the best of times. They have never been at the forefront of automotive design and this part of their charm. However, this is only part of their charm when they make up for their flaws in other areas; namely appearance. 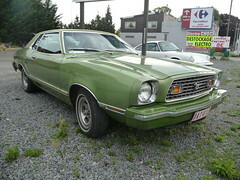 While the early model Mustangs started off well and Ford has managed to claw this back in recent years, the Mustang models in the middle years were truly awful. They featured appalling building, appalling handling, appalling engine efficiency and mediocre looks. 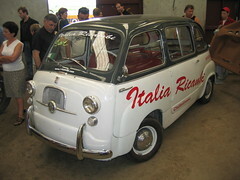 The Fiat Multipla is well known as a total disaster for the Italian car manufacture, so much so that it was totally redesigned within a very short period of time. While this vehicle may have been practical and may have had many good features, its appearance overshadowed everything else. The lights mounted just below the windscreen sealed the Multipla’s fate as one of the ugliest cars ever built. While harking back to the early years of automotive styling can be used to great effect in modern vehicle design, the Chrysler PT Cruiser is a prime example in how not to achieve this. 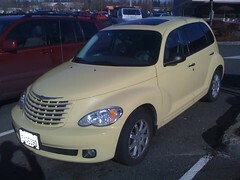 The PT Cruiser neither has the appearance of a modern car, nor that of a classic car. In fact, it is difficult to know where this car stands. And this is only the beginnings of this car’s problems. Not even unique registration plates and other styling luxuries could possibly redeem this peculiar looking vehicle. While it is well know that electric cars are only in their infancy, it is painful to imagine what the future will bring if this car is anything to go by. The G-Wiz features a top speed which is little better than walking pace, rendering it almost entirely useless. What is more, the entire vehicle is basically a crumple zone from front number plates to rear number plates. This is largely due to the fact that this vehicle is not restricted by the safety laws enforced on conventional vehicles. Article written by James Harper on behalf of The Plate Market; suppliers of number plates and unique registration plates. Photos by exxodus and achimh.